Only one more episode left until tvN's '100 Days My Prince' comes to an end!! 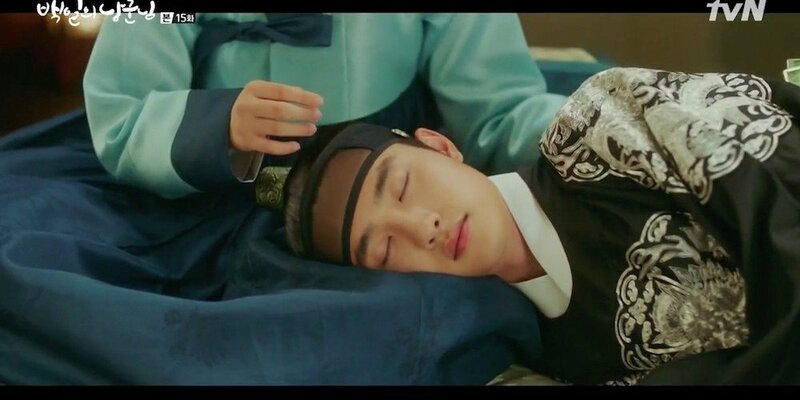 Last week, we left off with our crown prince Lee Yool (played by EXO's D.O.) finally retrieving his lost memories, thanks to the logs in Yool's diary from before his "death". But before Yool and his trusted men - the witty second male lead Jung Jae Yoon and and the young, sharp palace guard Kwon Hyuk - have a chance to figure out how exactly they can rid Kim Cha Un of his control over the country, everyone is pretty quick to figure out that Yool has gained his memories back. The good news is that once Yool confides in his father, the King, about his intentions to take revenge on Kim Cha Un, the father and son can now finally become one team. 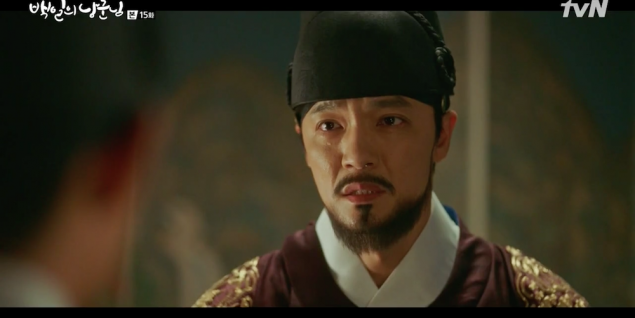 Our poor King, who always just wanted to be a good father and a good husband, was also finally able to admit to his son that he never meant for Yool's mother to die at the hands of Kim Cha Un. That's one father-child relationship patched up with minimum damage, thank goodness. The bad news, of course, is that Kim Cha Un also figures out very quickly that Yool has gained his memories back. You can imagine what an intense stare off this revelation led to in episode 15; Yool the original master of the "uncomfortable glare", and Kim Cha Un the villain of all villains. I mean they had a sword duel too, but that was obviously second to the real fight, a.k.a the stare off match. The biggest stare off contest in history!! Back to the real business... Basically, Kim Cha Un has been making some massive plans to prepare for the scenario where Yool becomes a problem for him by regaining his memories, or discovering that the child in the princess consort's womb is not really of royal blood. He actually, literally freaking intends to start a war, causing deaths of numerous civilians, in order to purposely create a time of chaos within the palace. Using this chaos of war as a cover, Kim Cha Un not only intends to cut down those who are opposed to him; he plans on sending the crown prince off to the war in the flesh, hoping that the prince does not return alive. Yeah, things just escalated way too far from a simple, historical romantic comedy... Now many of our characters are actually facing life or death situations! 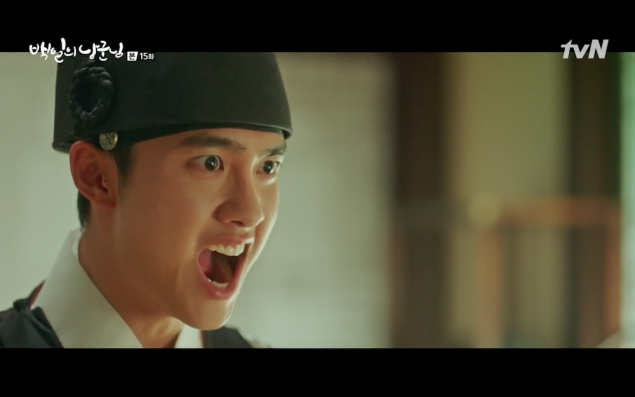 But everyone told me this drama was historical romantic comedy!! But the bigger bad news of episode 15 is: 1. Yool learns that the assassin who worked under Kim Cha Un and tried to kill him is Hong Shim's older brother. 2. Hong Shim also learns that her brother Moo Yeon worked for Kim Cha Un - the man who killed their father. 3. 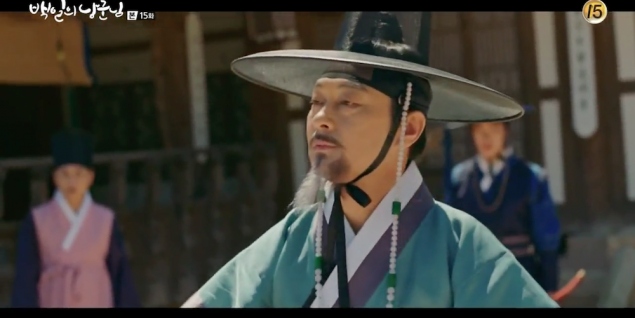 Moo Yeon confesses that he had to serve Kim Cha Un in return for Kim Cha Un sparing Hong Shim's life, and then eventually, for the promise of freedom. 4. 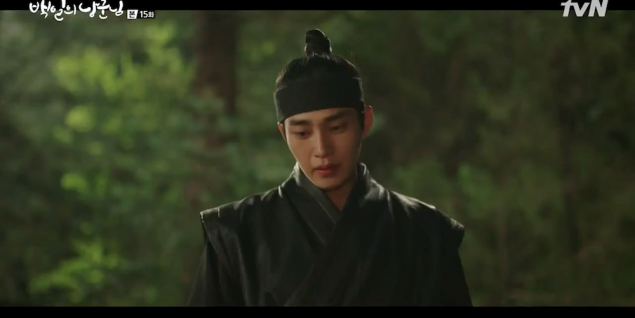 Yool learns that Moo Yeon is the real father of the princess consort's child. And now for the rundown on how our crown prince Yool decided to take all of this secretive news. While Yool is currently bent on getting revenge against Kim Cha Un, he's not a killer. 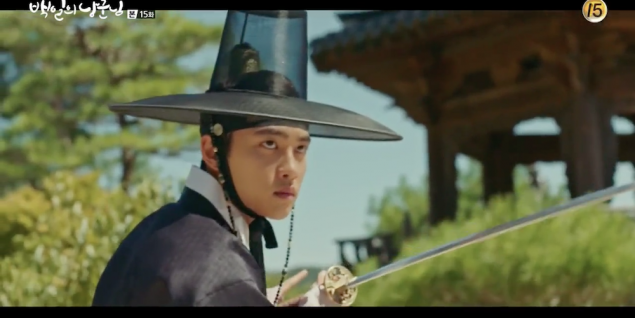 He's a warmhearted child who grew up in tragedy due to Kim Cha Un's hunger for power, and so he wouldn't fall to the same level as Kim Cha Un by killing Moo Yeon or the princess consort So Hye. 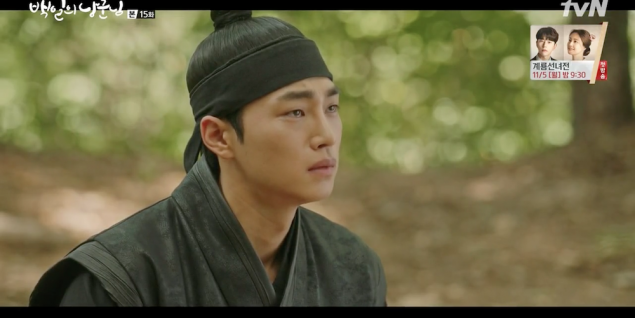 Instead, Yool attempts to "dispose" of the princess by forcing her out of the palace at night and leaving her in the forest, where he also left Moo Yeon. We can assume that he meant for them to just kind of disappear from his sight forever but... this is where things go horribly wrong. Because let's face it, it was foolish for Yool to do that without thinking things through all the way. Our evil villain Kim Cha Un wasn't just going to sit by and watch while his daughter, the princess consort of this country, just gets thrown out of the palace. Just a few hours after Yool throws So Hye out of the palace... Kim Cha Un sends his men to bring her back by force. This means... certain death for Moo Yeon. Now, I think we all halfway saw Moo Yeon's death coming. Admittedly, Moo Yeon was responsible for murdering lots of innocent people under Kim Cha Un's direction, regardless of whether he's a good person or not and what his true motives were and how hot he might be. "I'll be reborn as a tree or grass and find you again..." OMFG MAN HOW ROMANTIC CAN YOU GET!!!! 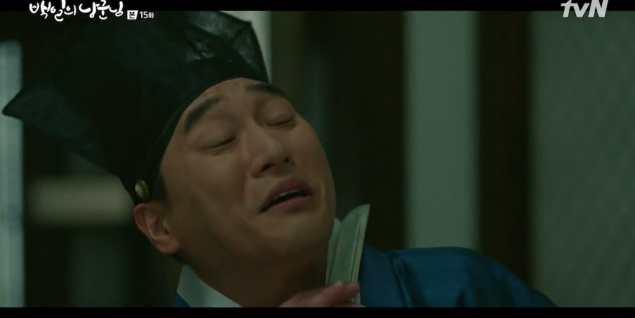 The worst part about how this situation played out was that So Hye was forced to watch while Kim Cha Un, her own freaking father, showed up and pierced Moo Yeon in the heart with a sword. Yeah, her father. Did that to her. He killed a man for "being in love with my daughter". Blue guy is like, "Are you sure you should be telling me all this private stuff about your daughter..?" Because I also believe that what happened with So Hye and Moo Yeon's situation here in episode 15, will ultimately be a mirror of how the final episode will play out. No matter how smart our prince Yool may be, he was ultimately unable to make choices and decisions which would allow for the greater good to win. In the end, he did nothing while Kim Cha Un continued to bring everyone misery (in Moo Yeon's case, death). I'm afraid to guess that this means similar decisions and conclusions in the finale - Yool chooses to act for his and Hong Shim's happiness only, without paying mind to the others who were willingly or unwillingly involved in these events. Remember, Moo Yeon's death not only brings sorrow and misery to So Hye. It also means the death of Hong Shim's older brother I don't think Hong Shim actually even got the explanation as to how Moo Yeon was affiliated with the princess consort. You don't look so good, brother...! 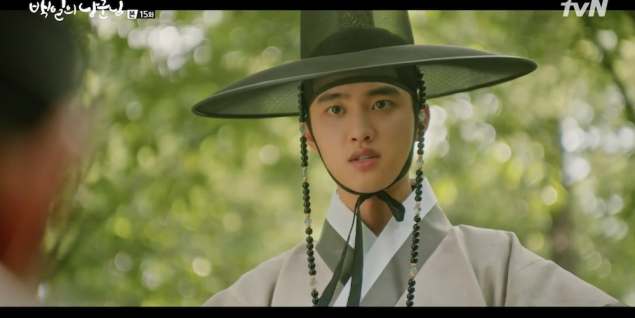 I think I ended up ranting a lot in this review, but my ranting just goes to show how much I became invested in the characters of '100 Days My Prince' in the end. Honestly, I personally cast my votes for Kim Cha Un and So Hye, the father and daughter, for best acting performances. 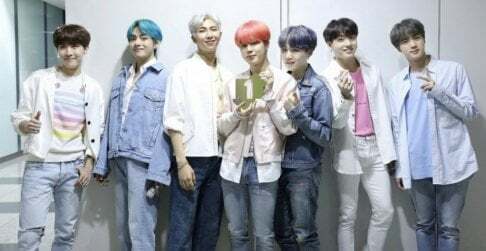 They made this drama come to life for me. But the most important, final score will be with episode 16 tomorrow. Whether or not this "war" actually happens. How Yool manages to beat Kim Cha Un in the end. Who survives, and who dies. So for now, I'll end it here. from the last 2 episodes i have been more invested in moo yeon and princess's love story than the lead's.. the leads had a very cute and adorable love story and had people's support when they were together but moo yeon and princess only had each other..